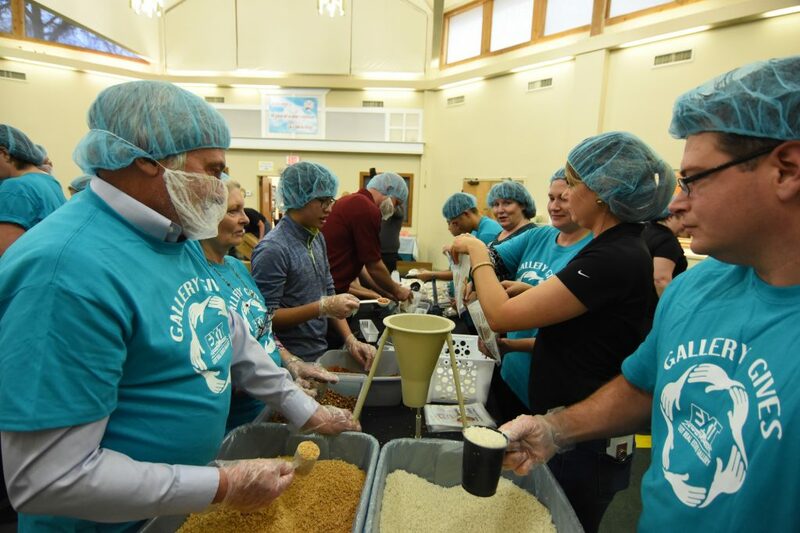 On Wednesday, February 22nd, the EXIT Real Estate Gallery Family filled the halls of Shepherds of the Woods Lutheran Church with joy and the sounds of fighting hunger. 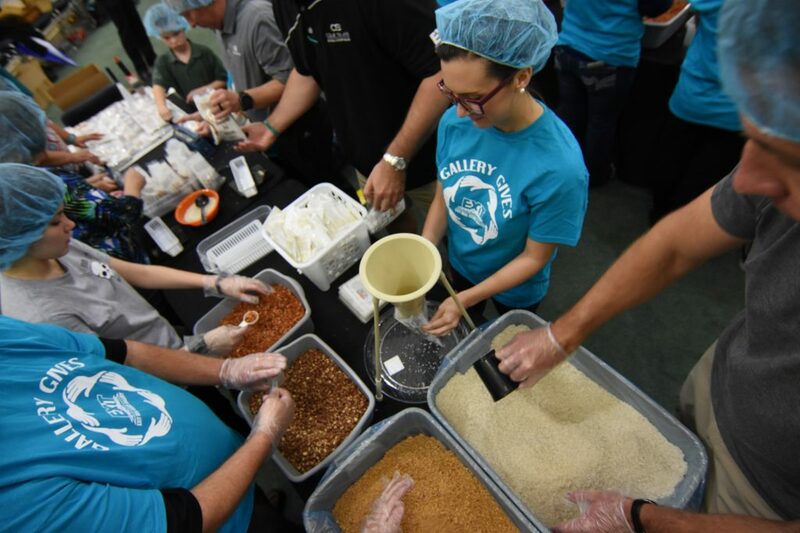 Over 50 Real Estate Agents, Staff, and Affiliates were able to pack over 10,000 meals for Hunger Fight in less than an hour. 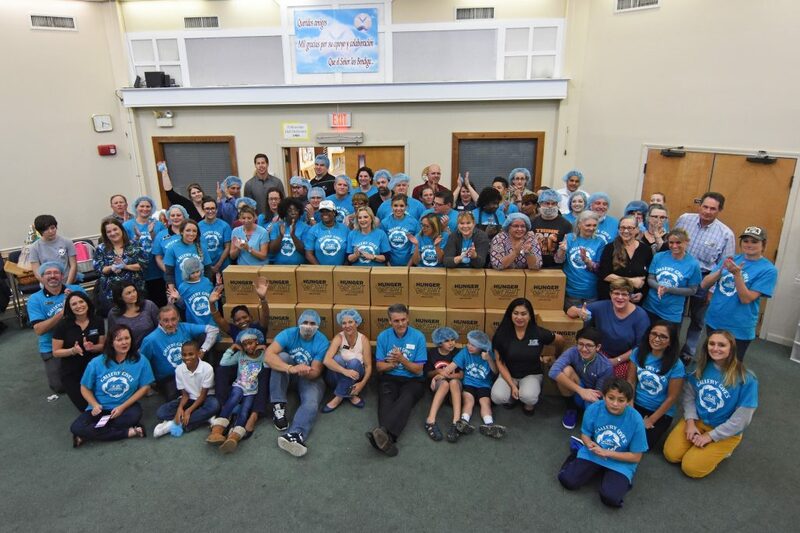 The Mission of Hunger Fight is to provide nutritious meals for children and families deemed food insecure in our local communities with an emphasis on school backpack programs. 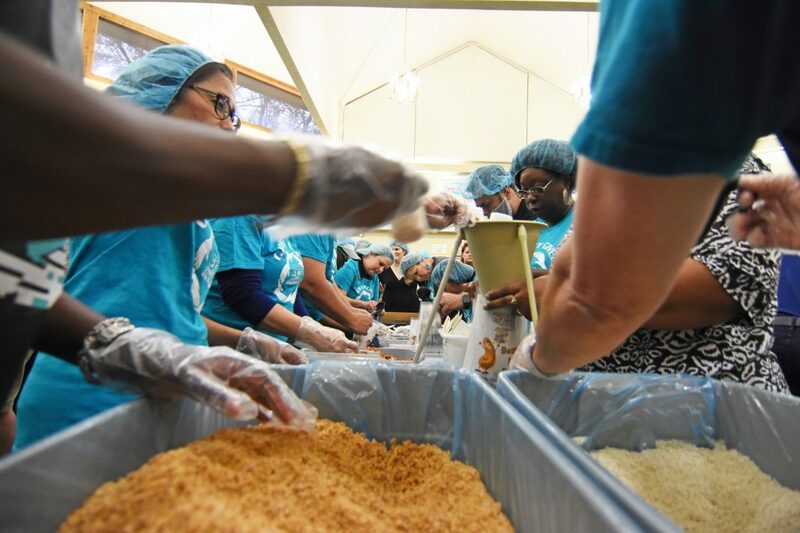 With thousands of children and families unable to secure nutritious meals in our local community, the Hunger Fight packing event gathers local change agents with one goal in mind – to take a bite out of hunger! This is just one of the many community service activities that EXIT Real Estate Gallery’s Gallery Gives Outreach Program has organized. In addition to this event, EXIT Real Estate Gallery has held donation drives for the Hubbard House, Operation Santa Cause, and the Jacksonville Humane Society. 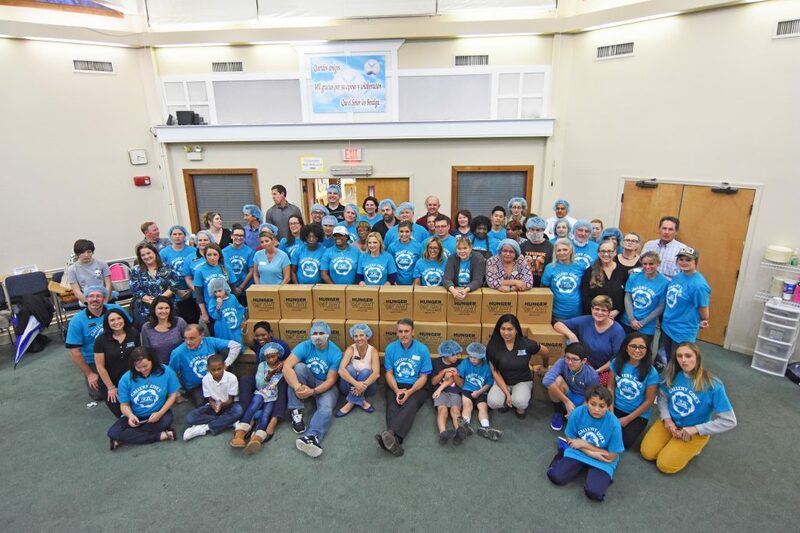 The company has donated their time multiple times in the last few years to volunteer with the Sulzbacher Center. They have also organized car washes to benefit a local family in need and a golf tournament for which all proceeds went to purchase Holiday Gifts for National Guard Children, and have put in sweat and hard work by helping on builds with Habijax, Daniel House and St. Johns Housing Partnership. They have also given back annually buy hosting an Art Exhibit Night for the children of Fleming Island Elementary School. It is no surprise that EXIT Real Estate Gallery is involved in so many community improvement projects as part of their mission statement is, “By conducting our business with character and integrity we will always put people before profit earning the trust of the lives we touch. We will be responsible and give back to our community cultivating and supporting its growth for generations to come”. 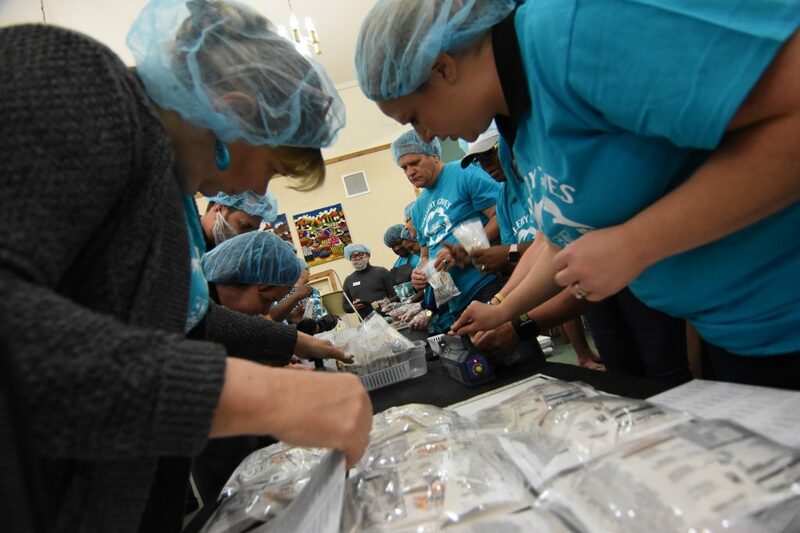 Dawnelle Minton and Ashley Wilkinson, who attended the event together stated “It [The Hunger Fight Event] was a humbling experience working with this great organization and I can’t wait to get involved with the next one”. EXIT Real Estate Gallery Broker, Raymond Rivera, also weighed in, “to be able to help people in need is what EXIT Real Estate Gallery is all about, one of the greatest gifts you can give is your time.”The company is already planning additional events throughout the year to give back to the community.